It is our belief that God’s mission in the world is to reconcile all things to the Crucified Lord. Our responsibility is to join in this work. Gordon College has a long history of service both domestically and abroad. Today that tradition continues through international and domestic mission and ministry trips. These trips are sponsored by the Chapel Office and are all student-led/staff-advised and motivated by an evangelical and humanitarian spirit. Each trip has its own mission and each team its own character. These trips have been, and continue to be, meaningful and memorable experiences for those who participate, and represent unique opportunities for individuals to grow in their knowledge of God, the world, self, and others. Applications for 2019 Mission Teams are closed. We are excited to explore the beautiful Himalayan country of Nepal this summer, partnering with two organizations - one in Hetauda and the other in Kathmandu. The team will focus on learning about the culture, the religion, and the challenges Nepali Christians face every day. The focus will be on serving these two organizations in any capacity needed, although we hope to build relationships in the community, be a source of encouragement for the local missionaries, and share our faith in a meaningful way with those we encounter. To contact a team leader, please email Nick Tozier or Jena Jekums. This summer, we will spend two weeks in Kingston, Jamaica working with CCCD, the Christian Caribbean Centre for the Deaf. CCCD's goal is to give the deaf community of Jamaica access to the gospel of Jesus Christ, sign language, education, and vocational training. As a result, students are better equipped to live independent lives. Our team will participate in work projects and after-school activities. Join us as we grow and learn together from our partnership with CCCD in Kingston. To contact a team leader, please email Rich Smith or Morgan Sprinkle. In May and June our team will work with the community of Bulembu, Swaziland, a small country located within South Africa. Swaziland has one of the highest AIDs prevalence rates in the world, a negative population growth, and a life expectancy of only 32. In 2006, a team of entrepreneurs and social developers purchased the abandoned town with a clear vision: to restore Bulembu to a vibrant, self-sustaining community by the year 2020. We will help them fulfill this vision by serving in a variety of ways, such as orphan care, teaching in schools, landscape and building projects, and economic development. To contact a team leader, please email Kate Clinch or Josh Ward. Our team will travel to the southernmost state of Belize, Punta Gorda, which is the poorest part of the country. We will partner with the international organization LOL Ministries, where we will have the opportunity to love and nurture orphans, as well as neglected and disadvantaged children and young adults. We will be serving in a variety of ways, such as orphan care, children's ministry, VBS, on-site construction, ministry in local villages, and exploring public healthcare facilities for Belize citizens. To contact a team leader, please email Walker Tuttle or Carissa Lacson. In March 2019, we will head to San Pedro de Macoris, Dominican Republic to serve and learn at Colegio Moriah, a Haitian and Dominican community filled with energy and high spirits. Throughout our time there, we will develop wonderful relationships, help with work projects, work in the school, learn about the history and culture in the DR, attend worship services, and grow in Christ as a team. We will also venture out and experience many sides of the beautiful culture that is present in the Dominican Republic. To contact a team leader, please email Lexi Potter or Caleb Eggert. Since the early 1980s, Gordon has sent work teams during Spring Break to volunteer on the ECHO farm in North Fort Myers, Florida. ECHO's Mission is to equip people with resources and skills to reduce hunger and improve the lives of the poor. ECHO's Vision is to honor God through sustainable hunger solutions. Be a part of that vision and join our work team this year. For more information, please email Irv Levy. This team will spend time over winter break building a home for a family in need in Haiti. We continue to partner with Partners in Development (PID), an organization that has been working in Haiti for over 25 years. We love the opportunity we have to invest in relationships in this part of the world and we are looking for people excited about joining us in this ministry. To contact a team leader, please email Cassandra Reyes or Nigesca Maxime. Gordon College is excited to partner with ELIC (English Language Institute - China) in their Middle East initiative in Jordan in the summer of 2018. Students will have the opportunity to teach English with those adversely affected by the Syrian conflict. To contact a team leader, please email Janel Hicks or Francis Mirabile. Mexico Outreach is a short-term missions opportunity to serve in Tijuana, Mexico. For almost two decades, Gordon has been building a partnership with La Casa de Esperanza, an orphanage located outside the city. As we return each year, our hope is to be ambassadors of God's love to all those we encounter. Our prayer is to grow in humility and cultural sensibility as we seek to better understand the global body of Christ. To contact a team leader, please email Kara Hahn or Matt Alaniz.  In January 2019, Gordon College will continue our relationship with an organization in New York City called New York City Relief, colloquially known as the Relief Bus. The Relief Bus outreach consists of two former school buses that have been customized into mobile resource centers to help the poor and homeless. Gordon students will have the opportunity to serve on the Relief Bus as well as do a night outreach to New York's Midtown and Penn Station. Students will interact with NYCR staff who have dedicated their lives to loving the homeless population in New York, learn and begin to understand the issues that lead to homelessness, and discuss best practices for the body of Christ to participate in a holistic solution. To contact a team leader, please email Ashton Barkey or Andrew Turnbull. We are excited to begin a new partnership in Cartagena, Colombia this year. We will partner with an organization called El Refugio to be a part of community development projects and supplementing the long-term work of the local missionaries. To contact a team leader, email Megan Hammes or Sophia Barcelo. On the Northern Ireland trip, we wrestle with our understanding of peace, conflict, and what reconciliation can and does look like. We do so by meeting with political and community leaders and by partnering with an organization called the 174 Trust, which works towards social peace in the historically divided community of Belfast. Interested in serving, participating in dialogue, learning about conflict within a culture, and experiencing the beauty that Northern Ireland holds? Contact us! To contact a team leader, email Emma Cox or Anna Derby. Chestnut Mountain Ranch is a Christ-centered safe haven for boys and families in crisis. Located six miles south of Morgantown, West Virginia, the ranch is a place for family restoration, where boys can enjoy school again and all can experience positive family values. This is the third year that Gordon has the opportunity to come alongside Chestnut Mountain Ranch. This year, the team will assist in the construction of a new school. Through and in addition to the work projects, students will have the opportunity to model Christ-centered values, build meaningful relationships, and enjoy God's beautiful creation. For more information, please email Joe Sherratt or Jesse Cook. We will be traveling to the southwestern island of the Philippines, Mindoro, which is the poorest part of the country. Our team will spend time over spring break and while we are there, we will have the opportunity to work alongside Korean missionaries who have been serving in the Philippines for over 20 years. We will aid the local church and mission organization in reaching out to the local people in this community. We will have the opportunity to invest in relationships and serve in a variety of ways, such as work projects, children's ministry, after-school activities, building projects (building a home for a family in need), teaching in schools, and sharing the Gospel. As this is the first time Gordon will be partnering with these organizations in the Philippines we hope to establish a great relationship and continue the partnership in the future. To contact a team leader, please email Issac Yang or Addison Abbot. Gordon login credentials are required for all forms except for the reference form. For more information about these trips, or to find out how you can get involved, please contact Sarah Snodgrass in the Chapel Office. Please fill out this form in its entirety. This will help us best prepare for Missions Week at Gordon College and anticipate your arrival! During Missions Week, we will have tables set up in Ken Olsen Science Center. It is likely that you will be sharing a table with another organization, so please plan accordingly to bring materials and a set up to accommodate the space of half a table. We are unable to take requests for where your organization will be placed. Thank you and we look forward to having you with us! 4. Are you interested in hosting a short time of prayer one day during Missions Week? 5. Do you have any special requests? 6. Will there be others joining you at your table? If so, please include their names below.